Tey Eng Tiong - the very supportive photographer in marathons. Coming 5th Dec 2010, he will be at finishing line. If u interest,I am willing to give soft copy to you(foc) as promote first time marathon runner. P/S:I will be near finishing,and if u saw me,u can call me to remind me,cheers ! " 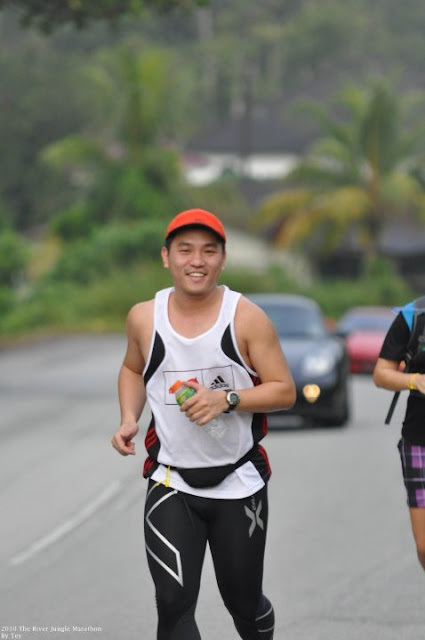 to all FMVs 2010 (Full Marathon Virgins) who are doing their Virgin Marathon this Sunday at SCSM, on a look out for Tey EngTiong at the Finish line. he offer to give you a soft copy of your photo captured by him. all u need is just say,' hi Tey, i'm running my Virgin marathon!' from Julie Wong's facebook. Imaging your running photo captured and you can share with your friend.. this is very motivation motive to have! Im lucky to have Tey around in the almost every races! I have my sweet memory on running photos... ! So Standard Chartered Marathon Singapore (SCMS) runners, when you going to cross the finishing line, slow down and scan your radar to look for Tey and shout: "hi Tey, i'm running my Virgin marathon!" and CHEEESEEEs ! Good Luck with your StanChart Marathon! I've been reading your blog regularly and its very encouraging to read about someone as motivated as you. Thanks for the blogging!